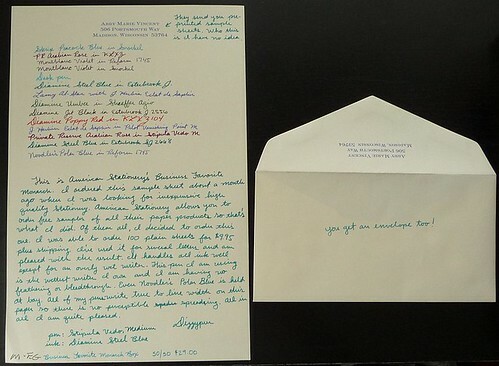 This is American Stationery’s Business Favorite Monarch. I ordered this sample sheet about a month ago when I was looking for inexpensive high quality stationery. American Stationery allows you to order free samples of all their paper products so that’s what I did. Of them all, I decided to order this one. I was able to order 100 plain sheets for $9.95 plus shipping. I’ve used it for several letters and am pleased with the result. It handles all of my inks well except for overly wet writers (which this pen was before I adjusted it). This pen I’m using is the wettest writer I own and I am having no feathering or bleed through. 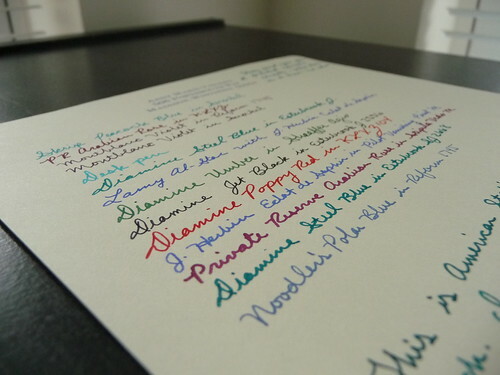 Even Noodler’s Polar Blue (notorious for feathering) is held at bay. All of my pens write true to line width on this paper, so there is no perceptible spreading. All in all I am quite pleased. Here are pictures of the back of the page. The first is held up to the window so you can get a sense of the opacity of the paper. 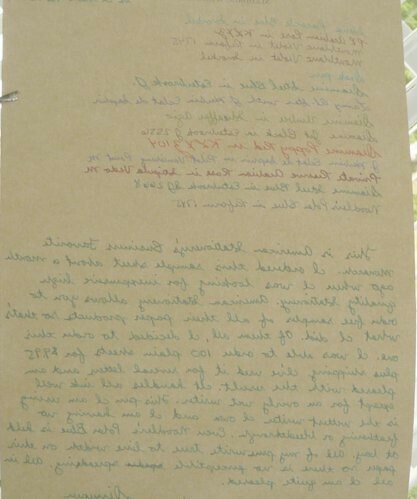 The second is a picture of the back of the page sitting on the table. 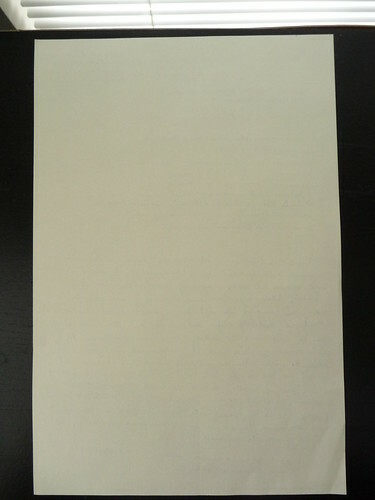 Although it is not evident in the picture, there is some show through since the paper is not particularly dense, but there is no bleed through at all. If you wanted to write on the back of the page you’d be perfectly able to do so. As to texture of the paper, it is relatively smooth with just a bit of tooth/texture to it. It is pleasant to write on. The nib glides across the page with just a hint of feedback. One does not feel as though the nib can get away from you writing on this paper, but I wouldn’t say there was drag. 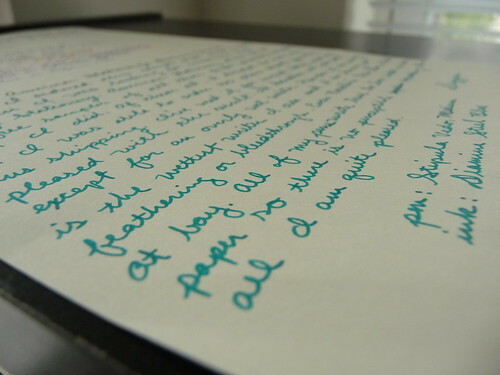 Review written with a Stipula Vedo filled with Diamine Steel Blue.